This updated Fourth Edition of Rapid Review: Anatomy Reference Guide offers everything you need for quick and effective memorization of key anatomical knowledge. Organized into 31 easy-to-use sections and enhanced by a lay-flat spiral binding, this must-have resource provides labels on clear overlays that allow you test yourself and immediately see what you’ve mastered and what you still need to work on. 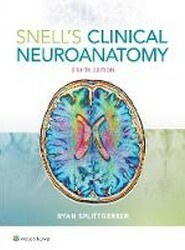 The new 16th edition of Cunningham's has been thoroughly revised for the modern day anatomy student. Each dissection reflects current medical school curriculum and teaching. Completely updated throughout, full colour artwork and new images bring the friendly explanations to life. 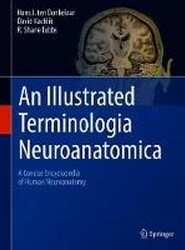 This book is unique in that it provides the reader with the most up-to-date terminology used to describe the human nervous system (central and peripheral) and the related sensory organs, i.e., the Terminologia Neuroanatomica (TNA), the official terminology of the IFAA (International Federation of Associations of Anatomists).